The Australian Federal Police raided the Sydney home on Wednesday of an academic fingered by two technology publications of possibly being the programmer behind the virtual currency bitcoin. 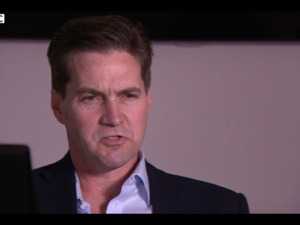 The home belongs to Craig Steven Wright, who was named in stories in Wired and Gizmodo on Tuesday as likely being the elusive Satoshi Nakamoto based on leaked documents. The raid was conducted on behalf of the Australian Tax Office, which declined to comment. Police said no arrests were made and that the raid was not related to the bitcoin reporting. But the timing of the raid is likely to add to conspiracy theories around bitcoin, a system that launched in near obscurity in early 2009. While the cryptocurrency itself has wobbled wildly in value over the years, the technology behind it, referred to as the blockchain, is being evaluated by major banks for use in financial systems. The identity of bitcoin's creator remains an unsolved mystery. The pseudonym Satoshi Nakamoto is on a nine-page academic paper describing the bitcoin system. Nakamoto was a consistent contributor to a forum dedicated to bitcoin but withdrew in mid-2010, saying he had moved onto other projects. The New Yorker, Forbes and Newsweek and many other publications have investigated computing experts and cryptographers who may have had the technical skill to create bitcoin. But no case assembled has ever been definitive, and no person has publicly claimed credit. From one perspective, unmasking bitcoin's creator is something of a treasure hunt: it's believed whomever created the system probably has as many as 1 million bitcoins that were created early on, which would be worth $415 million. The stories published by Wired and Gizmodo rely on a batch of documents given to the publications, which include emails from Wright to a business partner in Florida and documents regarding bitcoin queries with the Australian Tax Office.